As parents you will want the best kind of early education experience for your child. At The Berry Patch Preschool and Long Day Care Centre, our Sydney preschool programs prepares your child as they transition into big school. Guided by the Early Years Learning Framework (EYLF), our preschool and early learning programs encourage the development of skills including problem solving, enquiry, self-help, literacy and numeracy, to name a few. When it comes to selecting the right childcare and preschool, it is important to do your research to ensure you select the early childhood education centre which is best for your child. Attending open days, talking to teachers and school directors, and searching on the internet to look for reviews is all apart of this process. 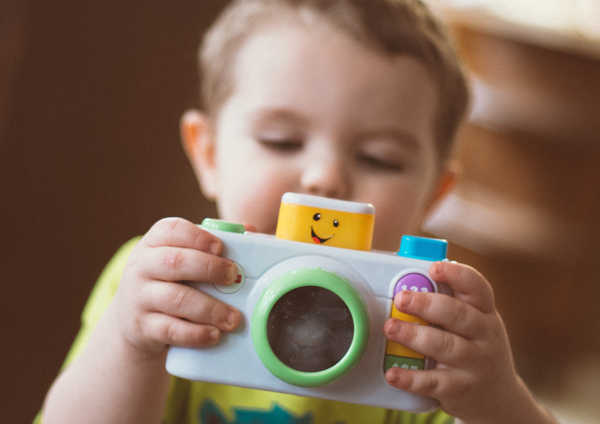 With a wide selection of preschools in the Sydney area choosing the right Early Childhood Centre comes down to your personal preferences and where you child feels most comfortable. To help you pick the right preschool program for your child, we have created a list of some of the most important factors that you need to consider when selecting your child’s preschool. Ideally, you would want your child’s preschool to be close to home or work. Even better if it is in the same suburb. Most of the time, the closest preschool is the right one. By being close to your child’s centre, it will make it easier for you and your child. Not only will it allow your child to meet other children in the area, it will also give you peace of mind knowing you are only a few short minutes away. Keeping a constant line of communication with teachers is important. You need to be able to talk to your child’s teacher about their progress and needs. The teacher should be available for a quick chat during pickup or drop-off. As outstanding preschool centres in Sydney, The Berry Patch Preschool and Long Day Care Centre provides the highest quality of early childhood education for children aged 6 weeks to 6 years. We aim to give your child a solid foundation through providing a stimulating learning environment. Guided by the National Quality Standards and the Early Years Learning Framework, our preschool learning program takes an age-appropriate approach to key learning areas including numeracy, literacy, and fundamental movements. All of our childcare centres are equipped with age-appropriate equipment along with mounds and footpaths that will encourage exploration. We also have separate play areas divided among age groups in line with our play-based learning program. The Berry Patch Preschool and Long Day Care have a great team of passionate, experienced, and qualified early childhood educators. The qualifications of our educators range from University Degrees to Diploma trained to Certificate III in Children’s Services. Our educators also attend regular seminars and training sessions to further improve their knowledge and keep up to date on the latest early education techniques. In addition, we put an emphasis on parent-teacher communication. Feel free to talk to any of our educators about our preschool program, the enrolment process, your child’s progress, or any aspect of our centre. Enrol your child in the best preschool centre in Sydney. Contact The Berry Patch Preschool and Long Day Care Centre near you for more information.